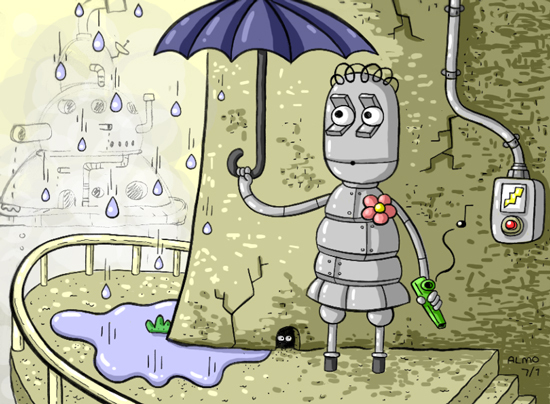 This is the Umbrella Lady Robot from the video game Machinarium! She lost her dog. You need an umbrella. You must find her dog and she will give you her umbrella. And she blows a KaZOooOooOoo! And that is great! I think if I lived in the game I would be her best friend and we would go get drinks of oil up at the Oil Bar and sit there and play Nuts and Bolts on every rainy day.